You will have to take the bike to Grand Anse, where you’ll find a small path connecting Grand Anse with Petite Anse. 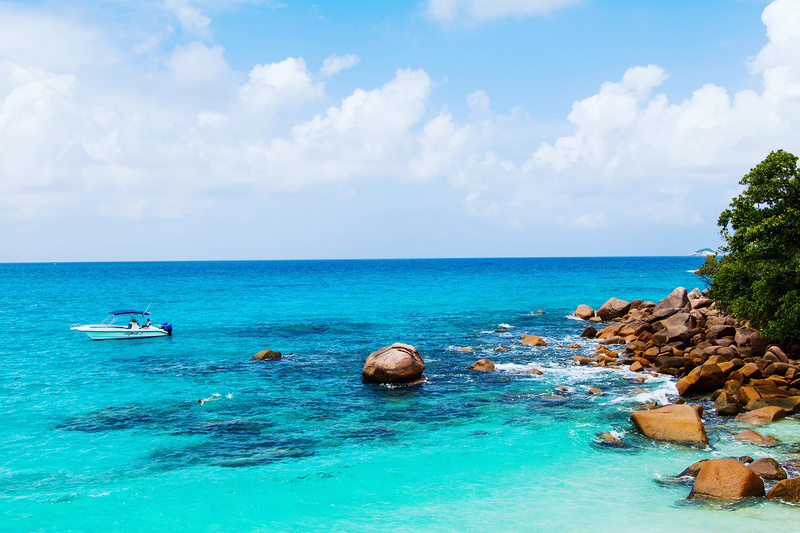 It will take you about 20 minutes to reach the wonderfully dramatic crescent of Petite Anse. It’s an easy path and well worth it. 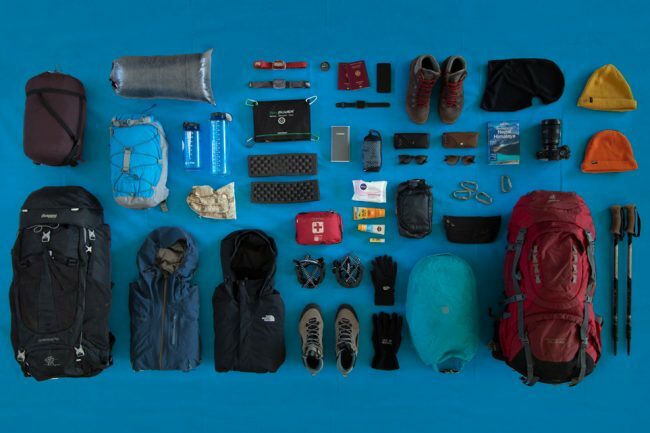 This remote beach has everything you are looking for. 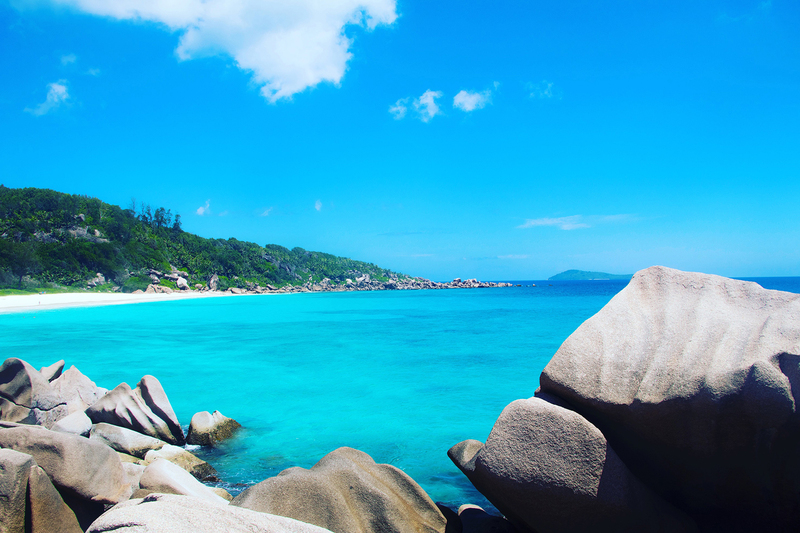 The world famous rock formations, crystal clear water, white sand and a lot of (stunning) palmtrees. Don’t forget to bring water and sunscreen if you plan to spend the rest of the day. 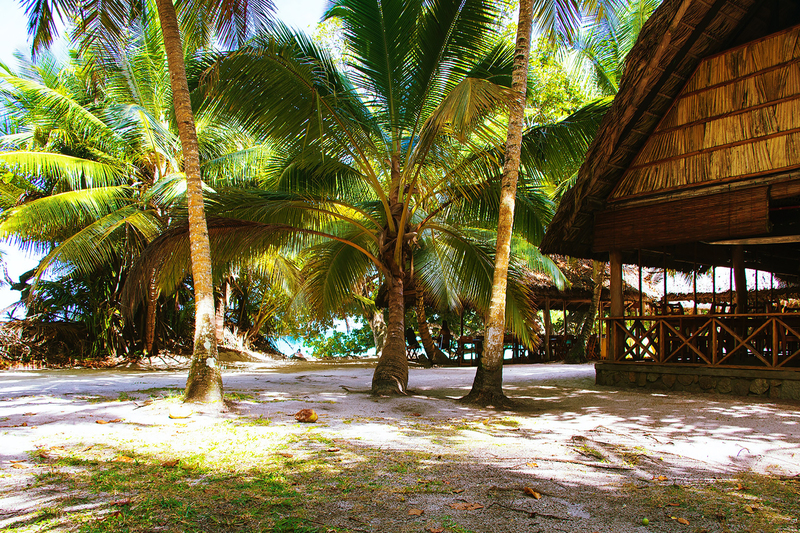 It’s possible to continue walking towards Anse Cocos, another amazing beach. Be aware of strong riptides! 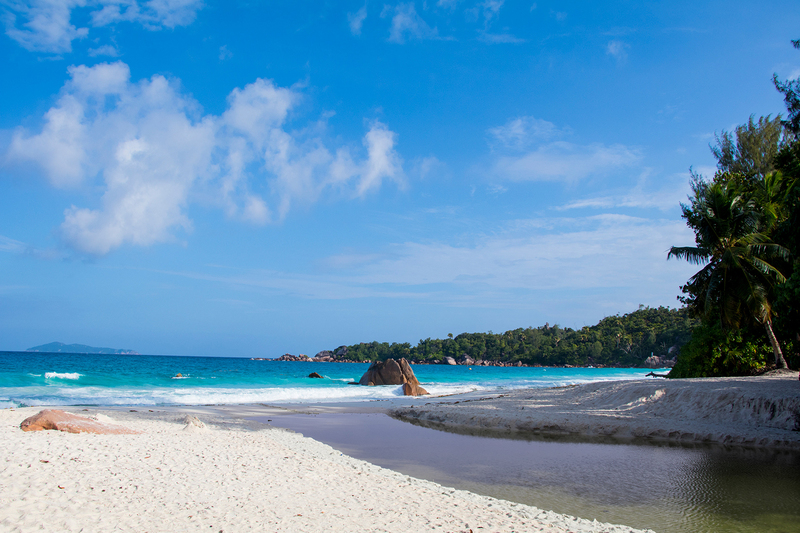 Anse Lazio, on the northwest tip of the island, is considered to be the prettiest beach on the Seychelles (and often turns up in lists of the world’s most beautiful beaches in general). 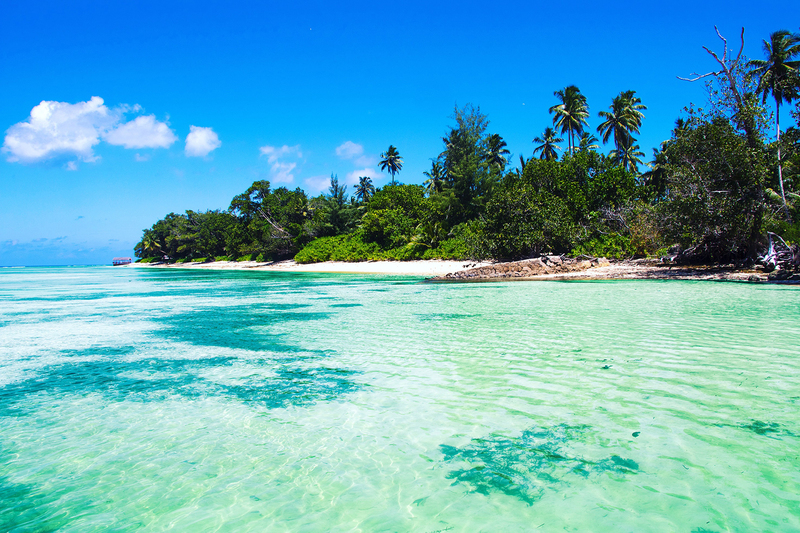 You have to take a car, the bus or a cab to reach this picture-perfect beach. You can park your car directly at the beach. There is a small restaurant and a beach bar, where you can grab a snack while taking a break from the midday sun. 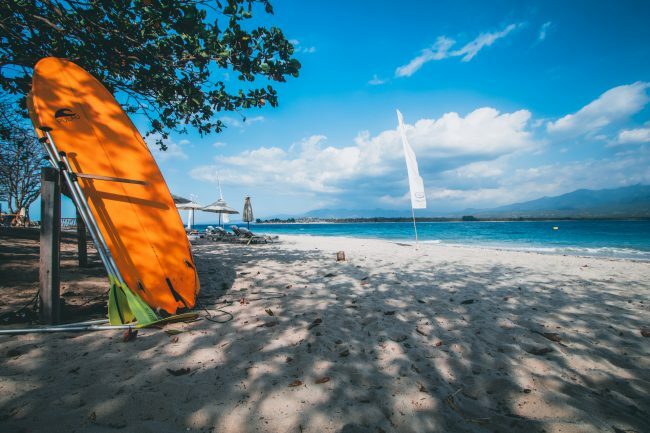 At the right side of the beach (facing the ocean) you can find a small reef which makes the beach perfect for both snorkling and swimming in the waves. 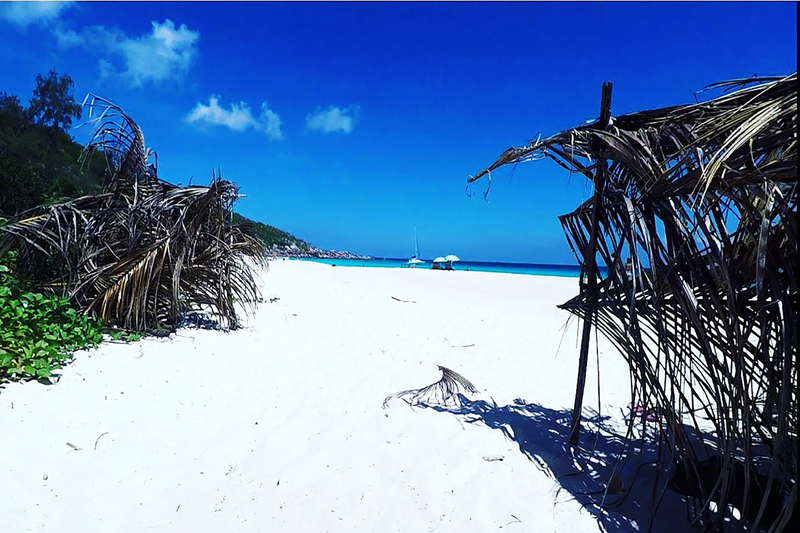 There are no cars on La Digue so you have to walk, or better rent a bike in the city center and ride across the whole island to reach this paradise beach. 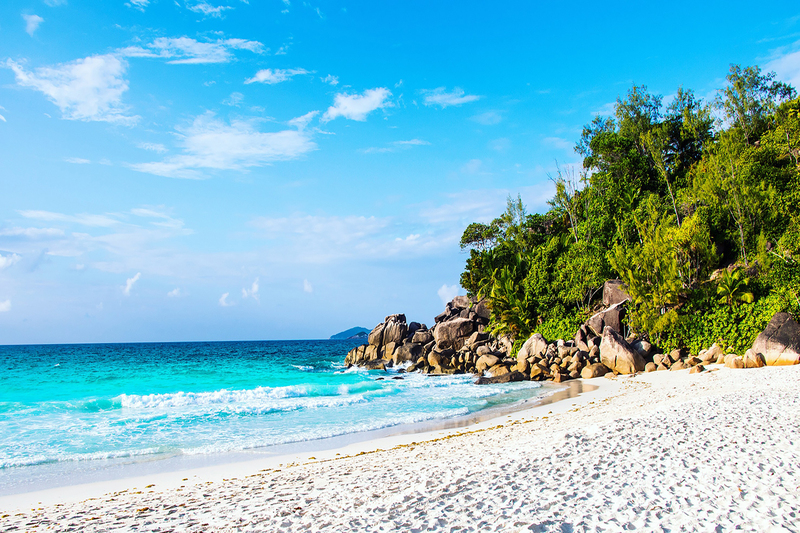 The widespread beach is perfect for everybody who visits La Digue, may it be for just a few hours or a day (or just come back everyday spend on this island). Don’t worry if you forget your bike lock, everybody on La Digue has a bike and there are no bicycle thieves to be found. On the left side facing the ocean, you’ll find the Instagram corner, where everybody is trying to take the perfect acrobatic photo. If you forget to bring water don’t worry there is a small beach shack. 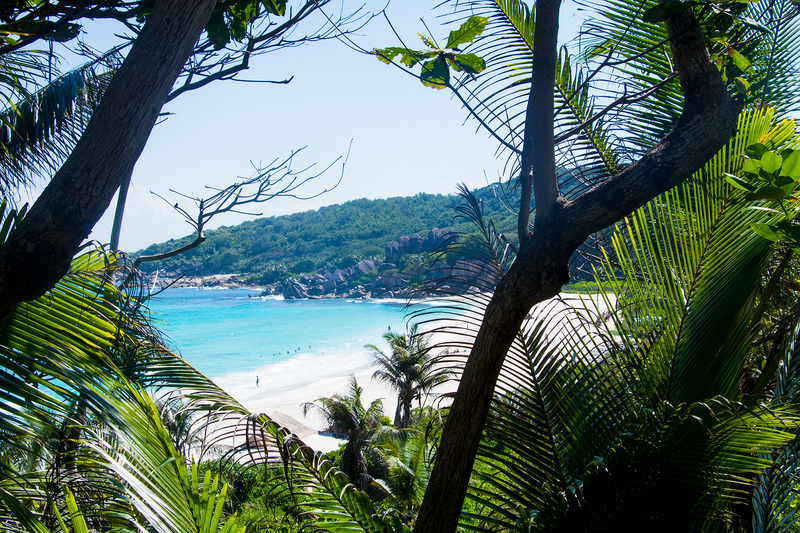 If you want to escape the touristic beaches on Praslin, this is definitely the place to go. The only problem is that you will have to call the Lemuria Resort to get permission to go to cross their golf course. They will pick you up with a golfcar and bring you directly to the beach. 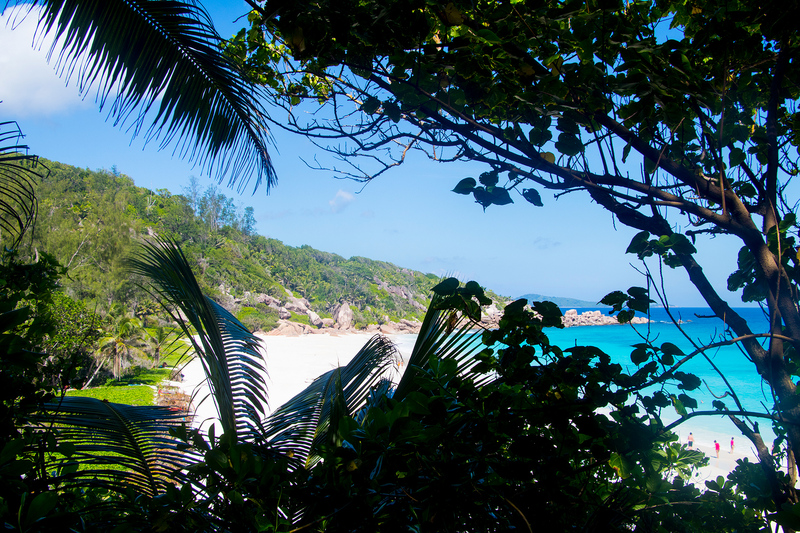 You can also try to hike from Anse Lazio to Anse Georgette, but this will take you a few hours. 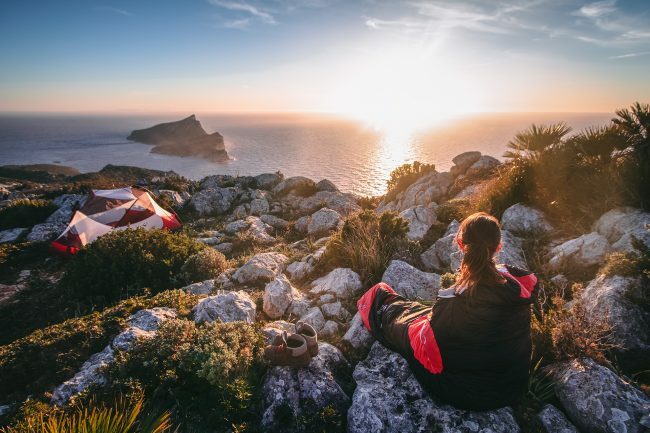 The hike is not that easy (especially in flip flops) and it can get quite hot and sweaty during the midday sun. This way you can sneak into the golf course without permission. 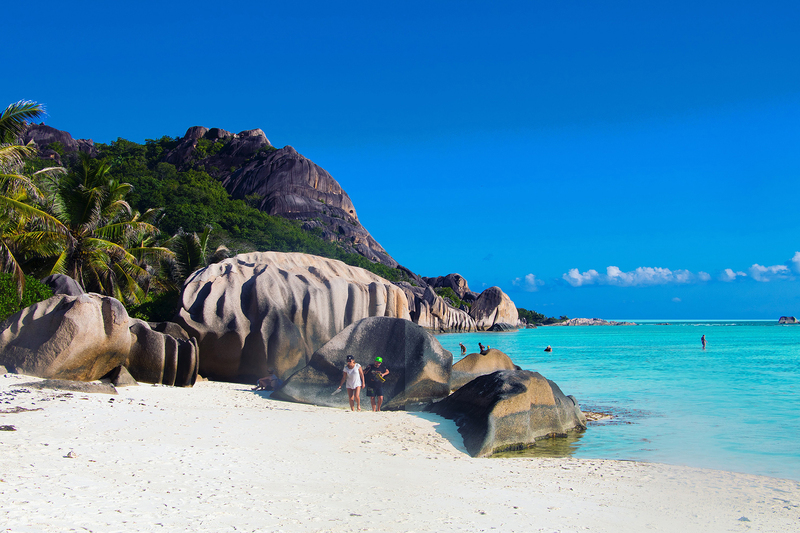 If you’ll only spend a day trip on La Digue, consider coming to Anse Source D’Argent. There is an entrance fee you’ll have to pay at the gate of the L’Union Estate, but you will get everything you are looking for. 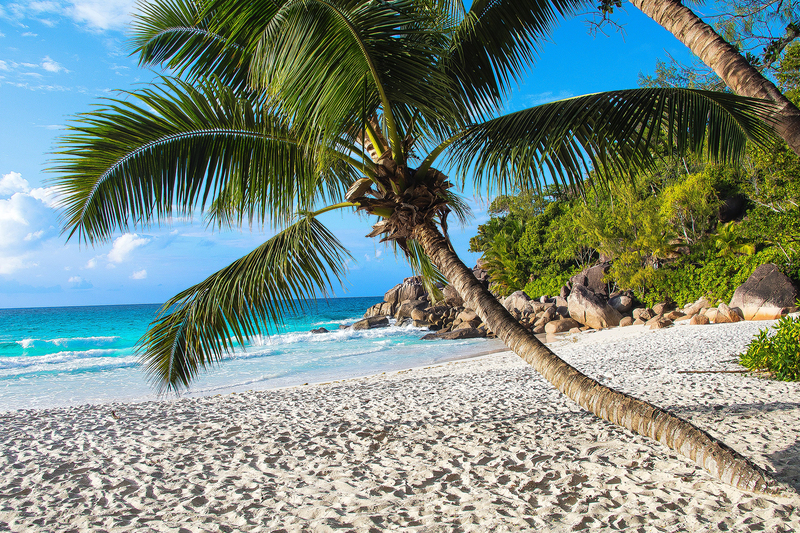 This beach has it all – white sand, clear water, the famous rock formation, palmtrees, beach bars and small coral reefs. Don’t forget to take a picture with the gigantic turtles in the L’Union Estate Park. There is a small boat workshop and a vanilla plantage worth a visit on the way towards the beach. It’s quite touristic and can get very crowded. 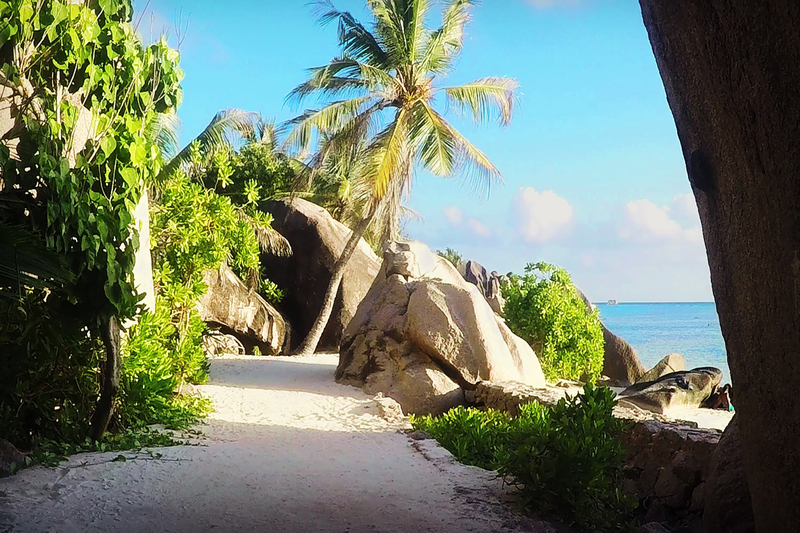 “There are no cars on La Digue so you have to walk”. What? 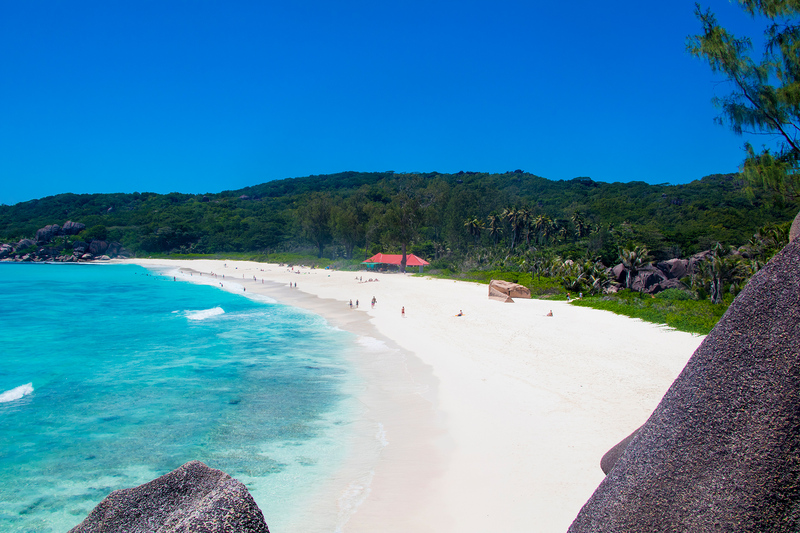 Why don´t you visit La Digue before publishing this lie? There´s even traffic-jams nowadays! 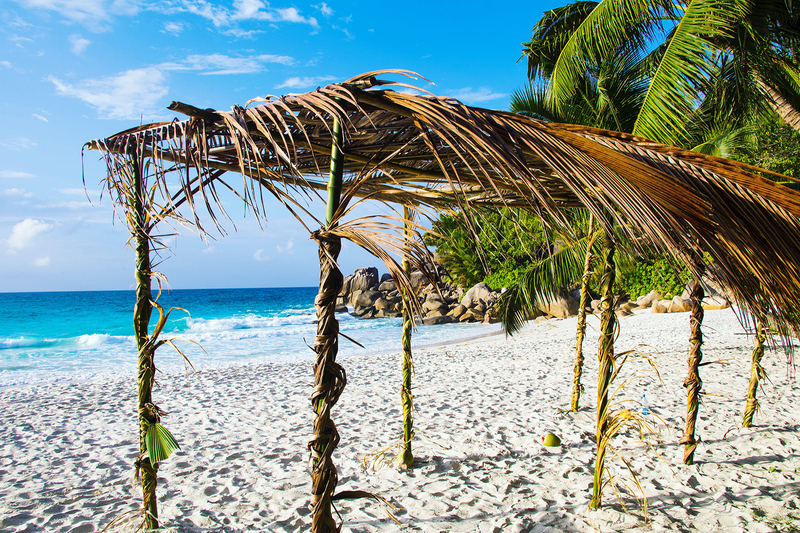 By the way: Grand Anse photo no. 2 was shot at PETITE ANSE. 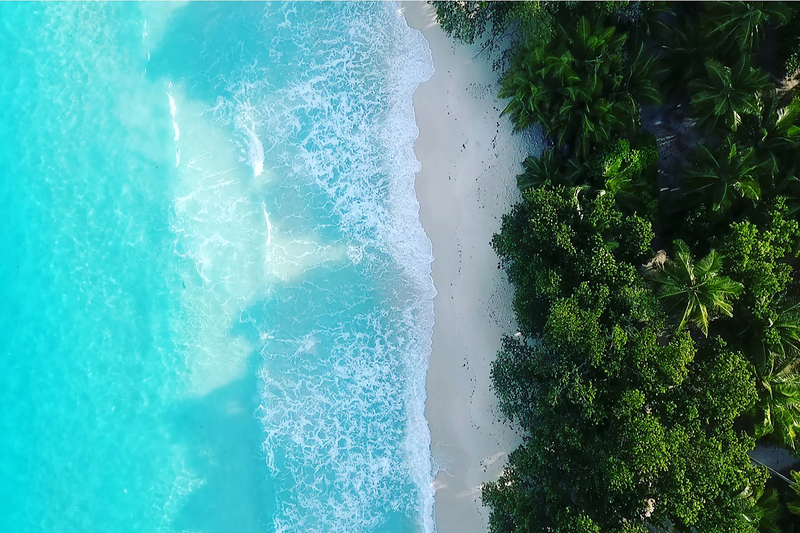 Btw every single image was shot by us, so of course, we have been on La Digue (2017), we have not seen a single car besides a few electric golf carts. I am sorry to hear about traffic jams that sound terrible, I guess we have to go back to this beautiful island and check out the disaster.